This article listed some of my favorite films and stories at Christmas. One of the best things about this holiday season is the chance to indulge in some of the sentimental memories and events of childhood. If you have small children, you have an excuse – a duty – to pass these along to them. A Christmas Carol is the quintessential story of distance, misunderstanding, alienation and reconciliation. Each time it is retold in film, the special effects strive to awe but they can’t outshine or obliterate the underlying story of the human need to connect. One of my favorite stories of holiday gathering is A Child’s Christmas in Wales. First recorded for the BBC in 1952, this short piece has been transformed into a prose gift volume as well as a stage play with songs. Dylan Thomas sets a nostalgic scene of warmth and familial love, quirky relations and deep friendships. Thomas’s short story is as much a part of modern Christmas tradition in Wales as Clement Clarke Moore’s A Visit from St. Nicholas is for American children. This is arguably the best remembered and most frequently recited poem in American literature (first published anonymously in 1823), yet its creator wanted nothing to do with it. ‘Twas the night before Christmas…’ began all my childhood Christmas Eves when this poem was read while my sister and I sat in front of the tree, eyeing the gingerbread cookies we had left for Santa. Christmas always included a televised showing of It’s a Wonderful Life – I cannot watch this film without feeling a deep sense of appreciation for the underlying message of our individual importance in the lives of those we encounter, however briefly. 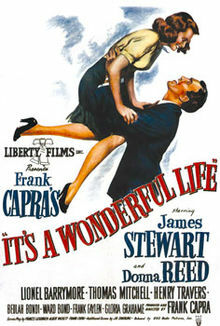 There have been recent, scantily disguised plagiarisms of this film, but not one of them can compare with the 1946 version based on the self-published, 4,100 word story, “The Greatest Gift” by Philip Van Doren Stern. 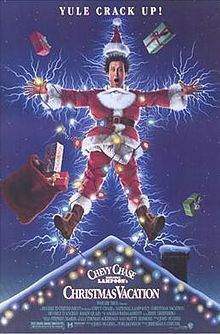 One other Christmas film must for my family holiday is Christmas Vacation. This National Lampoon classic also began as a short story, written by John Hughes for National Lampoon Magazine Christmas ‘59. This film was released in 1989 and was the third in the NL’s Vacation series. 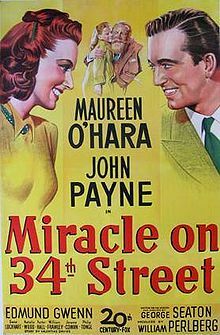 The 1947 novel, Miracle on 34th Street, by Valentine Davies, adapted for Hollywood in that year and winning him two Academy Awards for Best Writing and Best Screenplay is another popular film at this time of year. Re-made in 1959, 1973 and 1994, this heartstring-tugging tale was re-written by Davies as a novella published by Harcourt-Brace to coincide with the 1947 release of the film. Most of these stories are now familiar to people around the world through their Hollywood film version(s). Is it any wonder that film has been the endgame for writers for over 70 years? Of all the Christmas-based stories you’ve written or read, which one will set the benchmark for the next global, blockbuster tradition? I sprang from the bed to see what was the matter…. The following year, December 2012, I began my ‘novel-by-installation’, Nights Before, with the story, ‘Twas the Night Before New Year and concluded the novel in December 2013, with the final story, ‘Twas the Night Before Christmas Eve. May all your efforts for the coming year bring you joy and glad tidings.